What is TGB and what it is not? Youth Union of Turkey stands up for the fully independent Turkey. 1. Youth Union of Turkey (TGB) is the common struggle organization of Turkish youth united around the Republic’s Reforms and the aim for national independence. TGB was founded in order to unite Turkish youth -ignoring whether they’re leftists or rightists- to defend the motherland. 2. Youth Union of Turkey is the defender of the Republic’s Reforms. Our republic is collapsing due to the collaborators of imperialism. Turkish youth will defend Atatürk’s Reforms no matter what situation they might be in. Atatürk’s principles and reforms are solution to all problems of our country. 3. Youth Union of Turkey is anti-imperialist. TGB defends both in Turkey and in the world, the continuous struggle of youth against western imperialism and colonialism. The main axis of the anti-imperialist struggle, particularly in Turkey’s case, should be based upon the opposition to the membership to EU, destruction of the political, cultural, economic and militaristic hegemony of USA. National Independence War is our pride; we will build our future on patriotic foundations established during the National Independence War. defend national unity, the fully independent Turkey and the nation state. The only key for fraternity and unity is the common struggle against imperialism. Youth Union of Turkey acts with the consciousness of responsibility of this mission. 5. Youth Union of Turkey stands up for a secular and a populist Turkey. TGB is against all sorts of enforcements emptying the principles mentioned in our constitution. It defends progressivism against religious exploiters and obscurantists, populist economic system against poverty and individualism. It is against the privatization of public institutions. It clearly knows that law supremacy and democracy can only be realized with effective participation of people, thus possessing the talent of self-governing. 6. Youth Union of Turkey stands up for free, scientific and national education system and it is against the education in foreign language. From nursery school through university, the education should entirely be free of charge. Our education system should not educate individuals, in a manner that they become isolated from people’s realities, chasing their own profits, dreaming of quick escalation stepping over other people. Scientific production should be done for public profit. TGB is the defender of the national culture by fighting against the cultural degeneration that is disintegrating and isolating our youth by making young people addicted to alcohol and drugs. Universities should foster generations that will stand up for “Independence in ideas, independence in insight, independence in conscience!” and “Science as the most truthful path!”. The reflection of the western imperialism in universities is education in foreign language. TGB spreads on effort to create an active student opposition in all universities that are giving education in foreign languages. The age of universities that are educating technocrats for the West, acting as subcontractors of western sovereignty should be over. 7. Youth Union of Turkey stands up for a university structure that accepts scientific ethics and acts with the consciousness of public responsibility. It should work based on the needs of the nation state and support the humanity’s common scientific treasury. However it should not work based on imperialist powers’ and the global finance sources’ profits. Universities are ensembles that cover their students, academics and administrative staffs and these components should also have words to say in school administration. members of other NGO’s or political parties. However during their missions in TGB, they are not allowed to make any propaganda related to those organizations. How did all these young people describing themselves to be Kemalists, nationalists and socialists came together in TGB body? For which common struggle did they come together? 19 Mays, 29 Octobers' parades, people who joined our Turkish Soldier Mehmetcik's action, hundreds of thousands of people who destroyed all barricades in front of Silivri's dungeons, why did they all embrace TGB, why did they all trust in TGB? TGB is an unconquerable castle while Turkey is in imperialism's mouth. While people in pitch dark call Atatürk and Inönü, "two alcoholics", TGB was the one walking from Samsun to Ankara as Mustafa Kemals. TGB is struggling for the unity of Turkish Nation, while Turkey is dragged along division under the name of Evolution. Against all subcontractors' massacres and privatization, it is merging its destiny with that of laborers. You must have seen or heard also TGB somewhere. We do not know whether you heard TGB from people saying for it fascist-racist or communist. You may have other positive or negative thoughts. We explained in this booklet the works we have done, not made up or from mouth-to-ear words, but thru the struggle we are in, what TGB is and what it is not. We tried to convince you rather concretely and clearly. Hoping that we were able to have answered all your questions. collapse of its own fear empire. Millions, with Turkish flags in their hands, in every corner of Turkey have shouted slogans of "Everywhere is Taksim, everywhere is the resistance", "We are the soldiers of Mustafa Kemal!". The fairy tale of after 80's apolitical youth was over. The fear is dead. TGB has taken from the very beginning its place in Gezi Resistance and furthermore has played a very active role in spreading this movement throughout the country and even worldwide. Among the reactions taking place in 80 cities and over 100 towns in Turkey, TGB was always there and was in leading role. The organized power of TGB abroad, has also helped the wind of resistance being blown in dozens of other capitals and cities in the world. TGB's organized power has been a determinative factor turning Gezi Resistance into June uprising. The chain reactions starting at Gezi, have been realized by many different constituents of social opposition. The difference of TGB was its organized power and its action area. One year prior to Gezi, the most massive reactions were organized under the leadership of TGB. In 19 Mays, during Silivri siege, the leadership of TGB was tested and taken up seriously by people. AKP who was planning to damp 2013 June uprising, has tried by despotism to intimidate massive groups of people. TGB, has determined that, the mission to produce an answer to persecution and recovery, of people who were detached from Gezi Park by police attack, was the main goal. The reply to AKP was given by "Festival of GasMan". Kadıköy's pier square has welcomed, on 7th of July 2013, Turkey's history most crowded open-air performance. With the participation of dozens of musicians, theater actors, dancers, intellectuals and journalists, the fest, lasting from noontime until midnight, has proclaimed loudly the mark of struggle for republic and freedom. The power of art and irony has rebelled against despotism. The organizers of the festivals, was the "Resisting Media". However, organizing, announcing and all the technical works of this giant festivity, that has to be fulfilled, have been all successfully done by TGB. This great action, in fact was giving answers lightening the future as well. It was an action proving that, success, carrying the struggle to victory can only become true when it is lead by an organized leadership. Who, where, when, how and why founded TGB? Those having no yesterdays, will not have neither future nor today... We have created a youth organization, walking with decisive steps on Turkish Revolution path, which is not blown away with even very strong winds, that has roots in depth of history, because we know our past, because we can filter all positive and negative experiences through scientific critics, because we can profit rigorously from those experiences. There is a hundred years old history of youth movement. This deep historical accumulation has left a rich experience accumulation heritage to young movement lead by today's generations. Youth movement has better understood Turkey's objectiveness, by rising up in Turkey's breaking periods, obtaining success, sometimes by loosing, by maturing and simmering during struggles. We do not start Turkey's youth movement by ourselves. However we note that TGB's foundation is a remarkable fact in this deep history. Nazim Hikmet in one of his poems says, "I am further than my father, but rearer than my not born child". Because we do carry the experience of dialectic method that was the reason for new synthesis created by filtered theoretical-practical accumulations of the past. looking for a national organization that will put itself under one single roof. This organization was concretized in years 2004-2005, after many discussions lasting until mornings taking place in youth workshops organized in different universities. 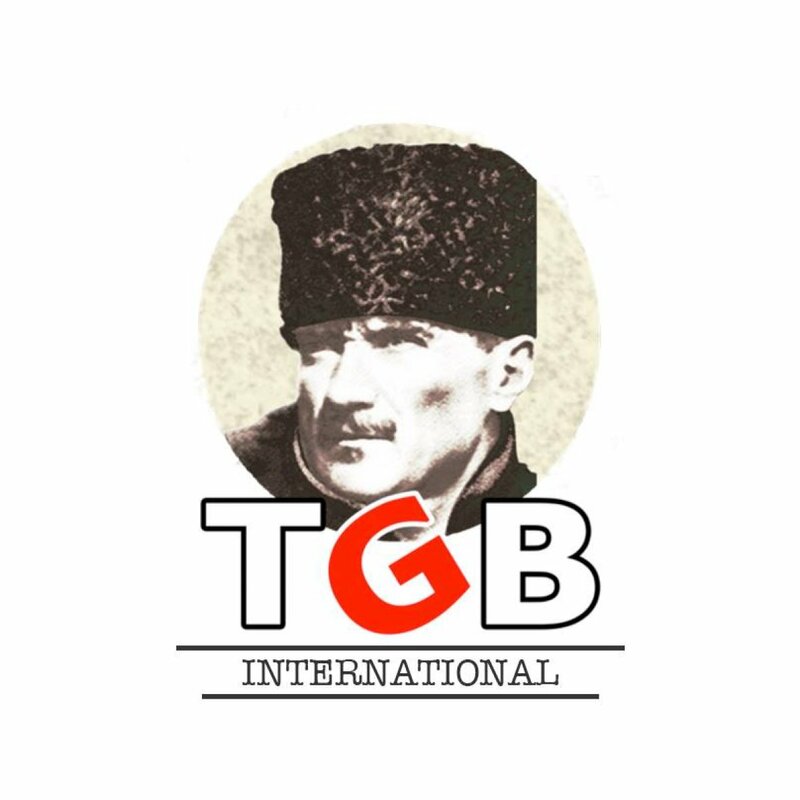 Without saying left or right, the need to unify the youth under one central organization and the youth decision to defend Atatürk's Reforms have created TGB. Thus, TGB founded as an association of all Kemalist Thoughts Societies formed by young people from all universities of Turkey, in 19 of May, 2006, in Farabi Hall of DTCF (Faculty of Language, History and Geography). Its aim was shaped by Turkey's objective political, cultural needs and experiences filtered through youth movement deep historical experimentations. The principle of these discussions of workshops was the question how from "Kuvay-ı Milliye" (national forces) will turn to an organized army. This means, in every university there were Kemalist Thoughts Societies and were acting within their own organizational diameter. Whereas, the need that came out from the political table was to create a central roofing organization. In 2005 spring in Malatya, in 2006 spring in Bursa, two workshops were realized. In Bursa's workshops, for works structuring a central organization unifying youth in motherland’s defense ignoring they are leftists or rightists the decision of putting together all thought societies in Turkey came out in 19 May 2006 in Ankara, Faculty of Language, History and Geography. Briefly, the aim of TGB, as stated in the Proclamation of Fundamental Principles was determined as, their targets, unifying youth on the axis of Kemalist Reforms' values, struggling for an independent Turkey against USA and EU imperialism, defending the Republic reforms and Republic universities against retrogadation, creating the revolutionary republic culture against the degenerated system and backwards culture. At first, it was thought that only Kemalist Thoughts Societies should be the components of TGB, but then after, all youth organizations were accepted in. There was a wide group covering societies concentrating on fields made in professional workshops, theater, art, sports, language. TGB was founded in 19 of May 2006. TGB's institutionalizing, growing, has to be matured in people movement and youth movement in order to become Turkey's "most spread, largest, most organized" youth foundation. There are hundreds of actions. But it is sufficient enough to enumerate actions that will let people understand the core of the problem. The PKK terror that was at the point of disappearing at the time when AKP came to power in 2007, was rejuvenated by this same party. USA was opening an area for PKK and AKP in order to destroy the nation state in Turkey. While Gladio, the operational power of F type gang and with AKP's hand, encompassing to Turkish Army was realized, the period of putting officers into jail, who were fighting against terrorism, had started. During this period, PKK attacks and the continuous news of martyred Mehmetciks, have created a great reaction in Turkish Youth. TGB who managed to lead this reaction in an organized manner, have planned MEHMETCİKS ACTIONS in October 2007, with participation of ten thousands students. The main slogans were, "USA is the killer of Mehmetcik" and "Turk and Kurd are brothers, USA and PKK are perfidious". Right reaction and right slogan was unifying dozens of thousands of young people and TGB was succeeding, with correct target and program defining actions, what was not done by "reactional nationalism". That is why the Ergenekon contrivance plotters have put the Mehmetcik actions of TGB into the accusation statement and have tried to judge. The beginning of 2008 was a new growing age for TGB. In May, TGB took the decision to organize a great walk. Between 16-19 of May, they walked from Istanbul to Ankara, passing by Kocaeli, Yalova, Bursa and Eskişehir. During these 4 days, all cities they have been thru, have upraised together, bringing hope and was a walk clinching the solidarity between people and youth. During these 4 days, 1000 young people overcoming all difficulties have successfully completed this walk in Ankara. This walk has created a long years lasting impact, from the points of view of TGB's labor-friendly, participative, excited, cheerful and brave culture taking roots. As Executive Board Committee of TGB, we received a letter from Aslanoğlu village known as the symbol of the struggle against the feudal "aga" system in the region. The village was under despotic pressure. Aga's bodyguards had killed the previous muhktar of the village, Muhiyettin Öksün by dozens of shots. Villagers were somehow able to provide their own security. But they were extremely anxious for their future. They were not able to send their kids to schools. The village school was in ruins as well as the accommodation of the teacher. Teachers that were appointed were not staying longer than 1-2 months. Villagers were asking in their letter: "Will TGB be able to help?" We took this as an order! Poor, laborer and proud Kurdish laborer called us. They welcomed us in their houses where the roof was honored by Turkish flags freely winding in the wind. Bureaucratic difficulties, finding the construction materials, transportation, human labor... Difficulties were big. But our will to overcome these difficulties was higher. For construction materials, we made a nation wide call. We asked for support. We conducted a very good announcing campaign. The support of our people was big. But, how about labor? This work has to be fulfilled by TGB members. 200 young students from all universities of Turkey have worked in construction. We embraced with Kurdish villagers. We blow the winds of unity and brotherhood rather than factiousness in Bismil plain. We shouted loudly all together with our elder brothers, elder sisters: "May this Aga system be destroyed, long live the Republic!" When we were constructing the school in Diyarbakır, the news of AKP's "Constitution Alteration Referendum" came out. This was not an ordinary alteration. AKP has started to take necessary actions to destroy the independence of juridical system. There was a huge lies bombardment. "Advanced democracy!" was supposed to come. This was the name given to the actions of destroying the Republic. The ones who wanted more, came out saying "Not enough, but yes!". organizations. TGB, was the most enthusiastic, smiling and effective organization of the NO Wall. Our "No Clips" on web were followed by millions of people. The power of social media was slowly showing up, but we were able to show how this power can effectively be used in political arena. The role of TGB to create a 42% NO Wall was great, when the opposition parties in the parliament were not in true activity. The year 2011 was the year for TGB to chase the ministers. The ministers representing the AKP power have focused on universities that they could not destroy. They were thinking that the siege they created and the pressure they founded thru YÖK (Institution of Higher Education) was enough. However they were wrong. TGB has shown that the Republic enemies do not have a place in universities. They did not let the prime minister nor the other ministers enter to universities. Some ministers using the rear doors, with the help of action force policemen were not able to escape from protests. They were obliged to run away quickly. In a very few cases, they had to empty the university entirely, then enter to empty halls, make two sentences and were able to make themselves even more villainous. We can proudly say that we even made the Minister of Health pronounce our brand slogan. The action when these slogans were massively shouted was the one on Istiklal Street, 12 March 2011. Twenty thousand young people walked with the main slogan: "Free science, autonomous university, fully independent Turkey". This walk was one of the primary actions of the youth resurrection. This truly nailed the leadership of TGB for all youth organizations. We can easily say that Turkish Youth movement is a history of struggle against imperialism. Especially in these last 60 years, actions against the humanity plague imperialist state USA, destroying the independence of Turkey, the most effective ones were the youth actions. In 1968, the action of Turkish Youth, throwing the American soldiers to the sea in Dolmabahçe, was the emblem action of 1968. The 4th of July 2003 was a blotch for Turkey's history. The American soldiers, who invaded Iraq, have put the bags over Turkish soldiers heads. This extremely embarrassing situation putting the Turkish people in a very angry mood, resulted by people's demand to give a diplomatic note to USA and Tayyip Erdoğan has humiliated his own people saying "This is not a musical note!" with irony. Our Chief of General Staff Özkök has declared that they will be staying insusceptible by saying: "This is a routine implementation of American soldier". But Turkish Youth will not stay inactive. The action that will save Turkey from this embarrassing shame came from TGB. On 20th of October 2011, a ship anchored to Bodrum harbor, bringing American soldiers who killed over 1 million people in Iraq. They collected their anchor much before than they planned. The directors of TGB, who got the info that soldiers came in, have caught 2 American soldiers in Bodrum streets. Soldiers run away, even though they were said that they would be protested with a symbolic action, so they do not have to fear. One was able to run away but the other one was caught by TGB members. They have put the bag over American soldier head. When he was taking the flour bag off his head and was trying to clean his head, he still was running away. But, we have given our message to American army. This action was immediately spread in Turkey and in the world. The nations and people of Middle East, South America and Asia, that are the centers of struggle against imperialism, have welcomed this action with great enthusiasm. Those sackbag actions have continued. 300 TGB members have invaded the hotel, in Kürecik radar squadron, where there were soldiers and we put hundreds of bags in front of and around the hotel. This next time, 2 other NATO soldiers have met the bags. These actions have reached their goals. The killer NATO and US soldiers’ off-day permits were cancelled for 6 months long. There was no one in Turkey anymore who did not hear about TGB. Its fame was spreading all around the world. Turkish youth living in 20 other capitols have also come together under the roof of TGB. Furthermore, other international youth organizations were inviting TGB to different activities. The first, Lebanese Youth, who overcome Israel on land war, have invited TGB to Anti-imperialist Forum to represent Turkish Youth. When we were invited to Libya, we were under NATO planes’ bombardment. We were not afraid and we went there. The Syrian youth who was under very strong persecution of imperialism welcomed TGB. We also took our place in Mexico, 2011 at the great youth meeting. TGB's anti-imperialist actions, especially our Bag Actions, were really making big reputation in Innocents’ World. Even in imperialist centers! The interior of German Parliament was also the action place for TGB. Our strong shouting in Kürecik radar squadron has echoed in German Parliament walls! TGB, have organized a great International Youth Meeting in 17-18-19 May. From Switzerland to Lebanon, from France to Syria, to Egypt representatives of youth organizations from 20 countries came together in Istanbul. When we were planning this meeting, Turkish Youth had to confront another anger wave caused by AKP government announcement of new achievements. The government had declared that they banned the celebrations of 19 of May. AKP was challenging his gravediggers, the Turkish Youth. We saw it and said free for all. We declared that we ban the celebration prohibition. We have invited our youth and people to "Youth Resurrection Day" on 19th of May. We have accelerated our works for "Viva 19 May" preparations. After the 3 days "International Youth Symposium", on 19th of May 2012, for the first time in Turkey's history, the most massive walk was organized with the call of a youth organization. From Tunnel to Taksim Square, hundreds of thousands of people were walking. The call was replied back! The prohibition for celebration was lifted over and the youth was resurrected. With the numbers given by the Police Department, 300 000 young people have poured down from Istiklal Street to Dolmabahçe. After the walk, in Küçükçiftlikpark, "International Youth Festival - Songs sang for the future" was organized. The legendary group of Latin America, Inti Illimani, Agus that let us meet with Balkan's tunes, hevi Orkestra, Karmate, Group Çığ and Mir Art Group have shown. This great walk was not only ending with a great festival, but was also showing that TGB, not only being a simple youth movement but was also a leading power for people movement, in the country and around the world. governorship kept saying until the very last day that they are not going to permit any action, meeting or walk. On 29 October 2012, from very early hours in the morning, Ulus square was filled up with people. Thousands of policemen have put barricades to every single street going to Ulus Square. But those defeating efforts were useless. They were obliged to give permission to limited passage from barricades on 2 streets. They did the main police mass in front of the Parliament building. Mainly the entrance and the exit of the avenue where the first Parliament building was located, thousands of action force policemen and dozens of TOMAs (abbreviation for Vehicle to Public Intervention) have taken their position. The order was absolute. They were not allowed to let one single person in. But people were coming in huge numbers. Exceeding the streets, waves of people... Mass of people was forcing the barricades. And then police have started the attacks. Hundreds of pepper gas capsules have been thrown on hundreds of thousands of people. They were trying to break the resistance of people by pressurizing water onto them from these TOMAs. But people were backing up carefully and then were hitting the barricades with stronger waves. The people of Ankara did not watch these attacks from their TVs. Big numbers were walking towards the square. The first barricades were destroyed from outside to inside. People running towards the square, have turned down the barricade on Ulus-Sıhhiye line and poured to Ulus. Then after, the exit going towards the Mausoleum of the avenue going in front of the Parliament building, i.e the barricade was destroyed from the farthest point to the square. The resistance of people in Ulus Square cannot be broken. The last remaining barricade was the one in front of the Parliament building. The police barricade was squeezed between people running from both ends of Cumhuriyet Street that is in front of the Parliament. TGB members in front of mass of people have dozered the barricades. A legend was written on Cumhuriyet Street (republic), during the Festival of Cumhuriyet. People pouring to the Mausoleum of Atatürk had given an unforgettable lesson to AKP. The youth have shown to the world that they were the vanguards of youth-people movement. were applied. Those Silivri tribunals were the most sleazy and villainous face of the withered Mafia-Gladio-Religious Order regime. It was the capitol of Fear Empire. But it also became the center where this empire had collapsed. The first big action took place in 13th of December. Again the barricades were overthrown. They have postponed the trial. The 8th of April 2013 trial, was said to be the "trial where the opinion will be declared", however the defense was not executed under proper conditions. This "so-called tribunal" was obviously not aiming any law, but trying to crumple the Republic by captivating Turkish Army, patriotic and revolutionary intellectuals with made-up motives. But they were afraid from youth and people. We made a meeting call for Silivri, for the 8th of April 2013. 5W1H: Why, how, when, where, with whom one action would not be done? All these questions were answered by this action. It was the people who were called, suppressed by the Fear Empire; people were called to come in front of a prison dozens of kilometers away from the city center. The call was on a weekday. The call was during working hours. Thousands of action force policemen, gendarmes and Special Forces team members were there. It was such cold weather day. Raindrops were like needles on faces. Roads were closed. There were 3 layers of barricades; nailed with 50 cm high iron sticks to the ground. They did it. No difficulty could intimidate people. TGB members were lined up at the front with their uniforms. The police attack was not unexpected. We were there to shield people, turned our bosoms to them. There were 40-50 pepper gas capsules and with TOMAs help, a fight that lasted for almost 2 hrs. But this unpitiful and merciless attack was useless. All barricades without any exception were thrown away. They were desperate regarding the anger of people hitting the barricades in waves. That intensive gas cloud has also entered into the court hall. And of course, this privately authorized tribunal's committee, with private effective power of people, they doubled! while entering in 2014 fall, we will pull out the last ones staying in the dungeons. The public movements never advance with an accelerating momentum. They grow with waves. The sequence of great and successful actions will wheel the history by being tested always with new experiments. Turkey came to this, world striking Gezi Resistance and June Uprising, with the sequence of many actions that we cannot count here. Resurrected youth and people movements have discovered its own power. The key that will bring the final victory is to understand the reality that success can only be possible with organized leadership. People movement comprehends this reality with its own experiences. The walk of TGB from Samsun to Ankara, realized by 1919 young people was very meaningful about this issue. TGB, who walked on the line of motherland and revolution, from Samsun to Ankara, was pointing people this particular key. Youth had consecrated this action to the miners' martyrs of Soma, who was victims of privatization massacre. During those 3 days, embracing with people at every single stop, TGB members said: "We are walking so that we do not experience other Soma tragedies!". We spoke loudly "Miners light will not extinguish!". We repeated the slogans: "Youth and workers are hand to hand, fully independent Turkish land!" We shouted: "We fully trust to our people. We know that our people are trusting in us. We are going to finish our mission, way to the end. When we were entering to Kızılay square, on 19th of May, 2014, we felt again this sacred trust. 1919 young people were welcomed by 1919 women and thousands. The square that was closed for years long to people, was conquered by thousands again. We did 3 hours meeting on a square where they were not allowing even any press declarations. Those who took their lessons were not courageous enough to attack this time. The government was the first who knew about organized leadership power. From Kızılay we all poured to Mausoleum of Atatürk. 1919 young people embraced Mustafa Kemal Atatürk, the greatest revolutionist of our nation. We declared from there to the whole world: we are taking up our position, we are walking to victory. Is there anyone who can stop us? Let them do. We will teach them this reality nailing it to their brains. "Mustafa Kemals will never be defeated in this land!"